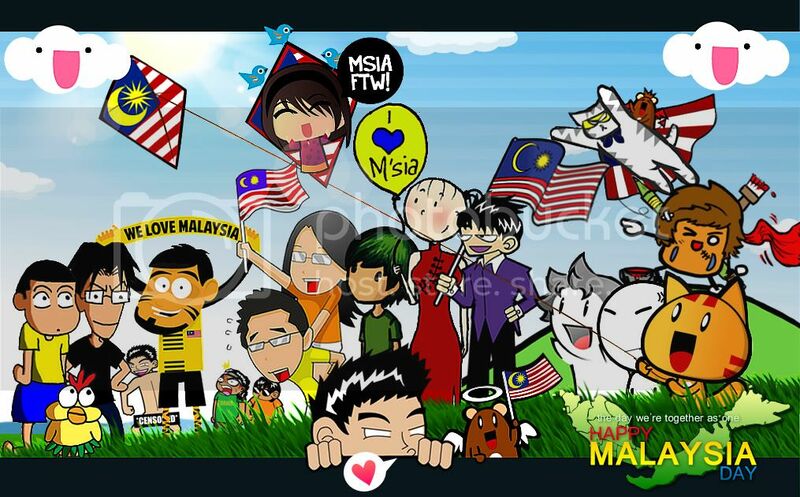 And in conjunction of this Malaysia Day, we, the Malaysia’s Comic&Doodle Bloggers came together for a collaboration just to wish you all..
A Happy Independence Day to Sabahan and Sarawakian!! 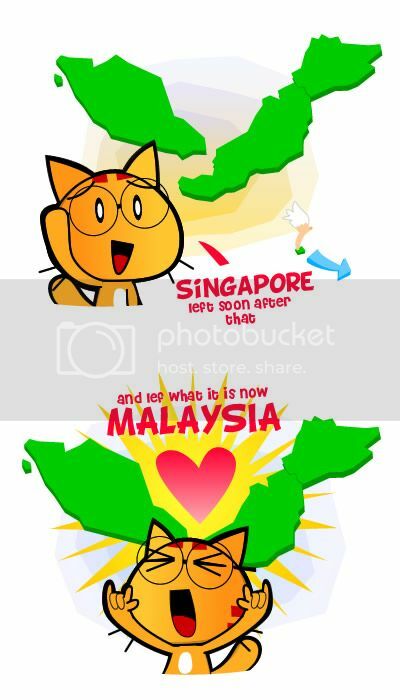 A Happy Malaysia Day to all Malaysians and Happy Holiday to all who are in Malaysia!!!! Woohoo MALAYSIANS for the WIN!! Anyway, I really had lots of fun during this collaboration, the bloggers were simply awesome and fun to work with. By the way, if you’re a Malaysia Comic/Doodle Blogger, do join us at Facebook ^^ The more the merrier. Posted on September 16, 2011 by Jian Akiraceo. 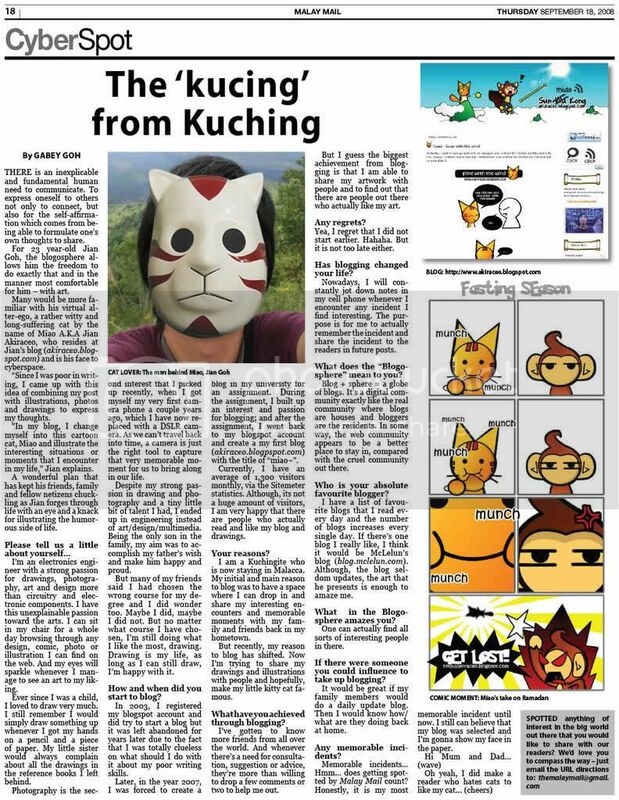 This entry was posted in Miao&Friends and tagged bolehland, cheechingy, collaboration, comic doodle blogger united, dontlikethatbro, iknowyoudontgiveadamnaboutmylife, koudamainframe, Malaysia day, miao, missmorbids, pekchekkia, sharkox, solarcrab. Bookmark the permalink. this post was epic haha! 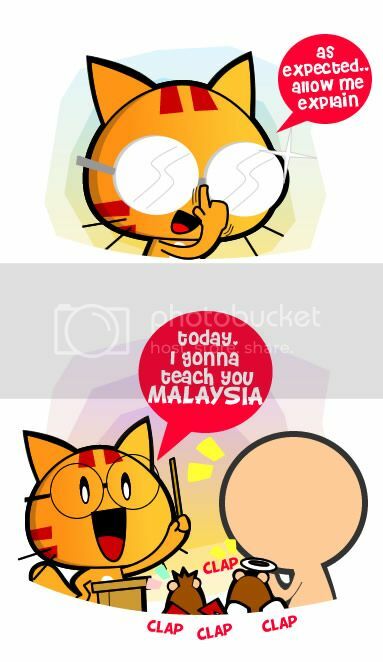 Brunei was in the plan of joining Malaysia, but soon backed out..
Singapore did not left, however was kicked out..
Meow, if you were my cikgu sejarah during my good ol’ school days…I sure won’t fall asleep back then… Consider writing comics for our upsr, spm. It will be great for the kids!! Pingback: 2012 Wallpaper: The Dragon Dance & Recap of 2011 « Miao & WafuPafu Comic Blog | Cuteness Overdose!